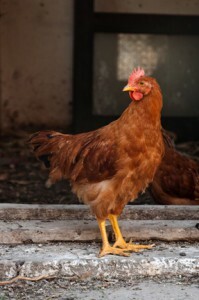 Pasturas Los Alazanes is proud to provide you with all of the supplies you need for raising your chickens. We have a great selection of poultry feeds from the top brands, including Purina Mills, Golden Oak Feeds, and West Feeds. We know that raising chicks can be difficult and a lot of work at times, that is why we have built a knowledgable staff designed to be able to assist our customers with raising chickens as well as other farm and ranch tasks. We want to make sure that all of our customers find success when raising chickens, that is why we are putting on a chicken workshop on April, 7th 2015. For more information on the chicken workshop, please click here for the event details. If you want to see a list of the chicken feeds we offer, then please click here. Here at Pasturas Los Alazanes, we are committed to making sure you find exactly what you are looking for. If you have any questions about raising chickens or the products we offer, then please click here to visit our contact page. We will be more than happy to answer any questions you may have.